In 1925–1931 this building (formerly Butsargių 2) was the home of the writer Ieva Simonaitytė. 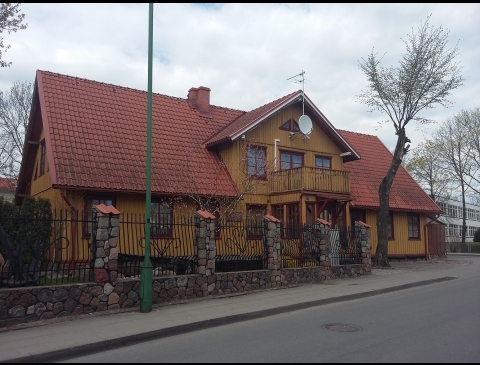 It was here that she wrote her novel Aukštųjų Šimonių likimas (The Fate of the Great Šimonys). 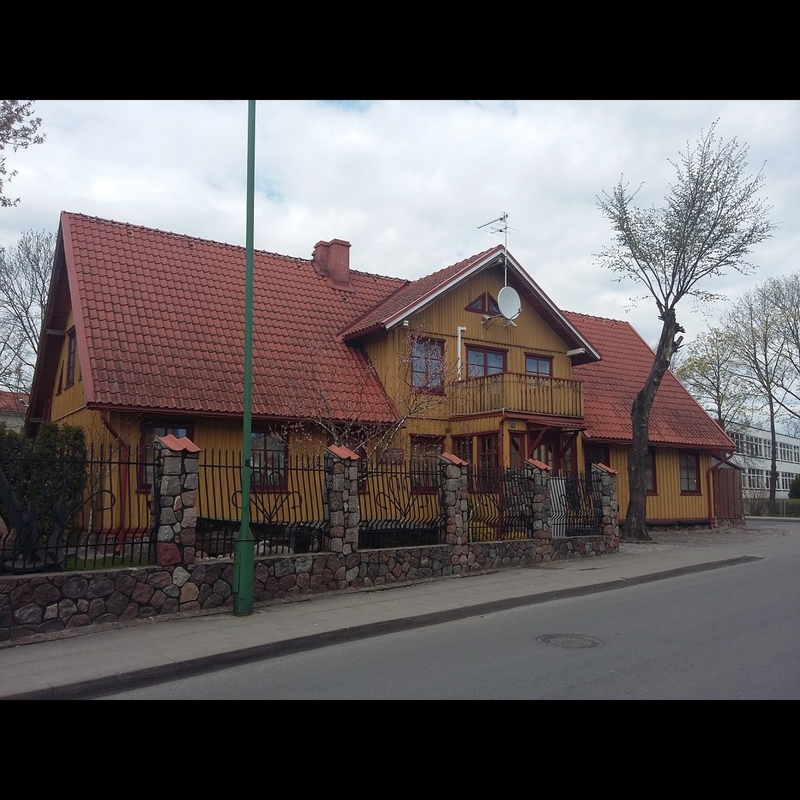 The writer referred to the house as her “tiny slum”, described in her piece Ne ta pastogė (The Wrong Shelter). The building still stands there today and features a memorial board for the writer. 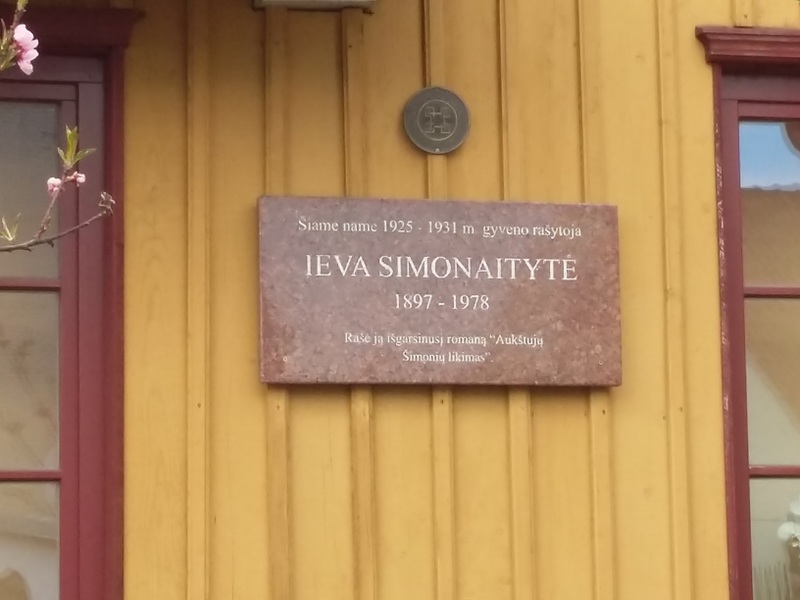 Ieva Simonaitytė was born on 23 January 1897 in Vanagai village, Klaipėda district. At the age of five, she became ill with tuberculosis and thus could not attend school. Her mother taught her to read. In her youth, although walking with canes, she had to work, herding geese and looking after small children. The source of her creativity was her life experience, books, as well as watching her environment — especially nature. In 1912–1914 I. Simonaitytė was treated at Angerburg Sanatorium in Germany (currently Węgorzewo, Germany). There she regained her strength. Working as a seamstress, she engaged into Lithuanian activities: worked at Eglė Lithuanian youth club in Vanagai, as well as cooperated with Tilžės keleivis and other Lithuanian press, circulating in Lithuania Minor. 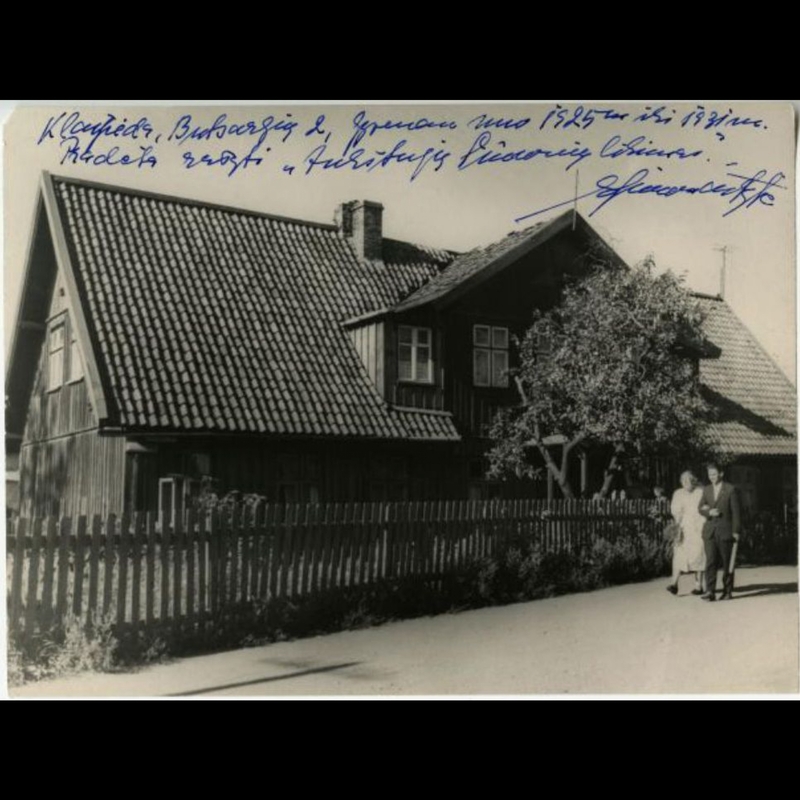 In 1921–1938 the writer lived and worked in Klaipėda. 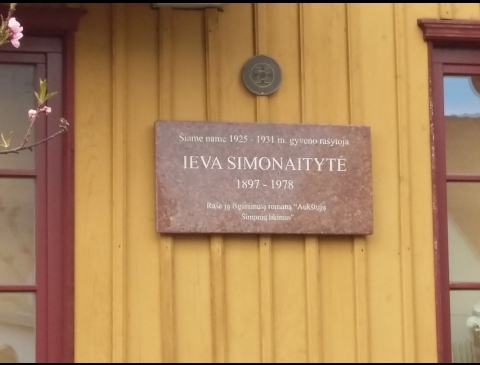 I. Simonaitytė worked at various institutions: The consulate of Lithuania, Rytas printing-house as an editor, at the editorial office of Prūsų lietuvių balsas, the Directorate of Klaipėda District and, later, at the Small Parliament as a typist and translator. She attended the evening School of Commerce, where she learned stenography and bookkeeping. While living in Klaipėda, she wrote the novels Aukštųjų Šimonių Likimas (The Fate of the Great Šimonys) and Vilius Karalius. In 1935 for her novel Aukštųjų Šimonių Likimas (The Fate of the Great Šimonys), she received a state award. 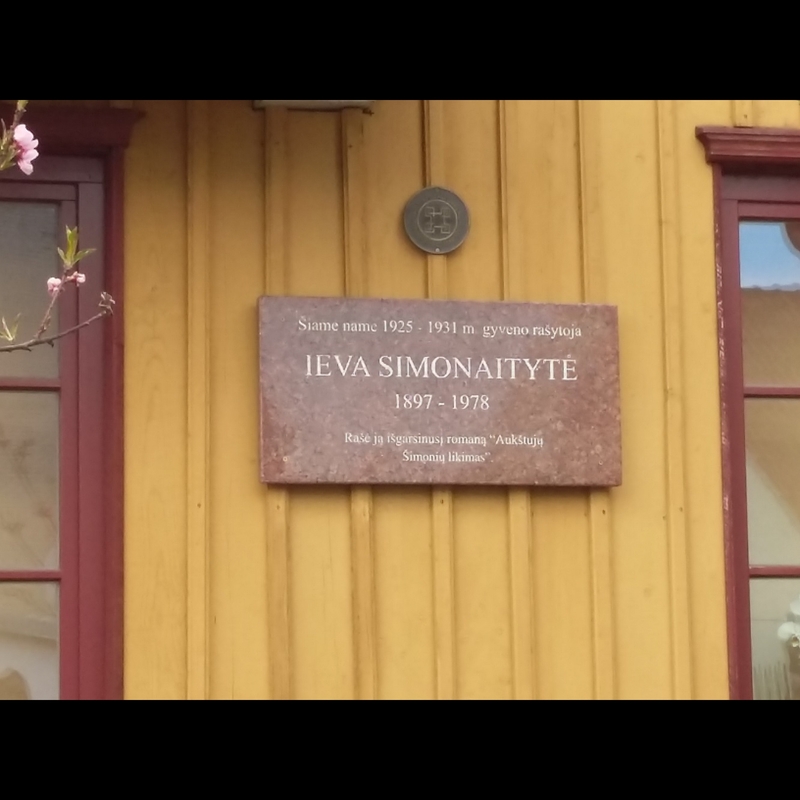 As of 1936 Ieva Simonaitytė dedicated her time only to literary work and received a pension. In 1938–1939 she was treated in Switzerland. 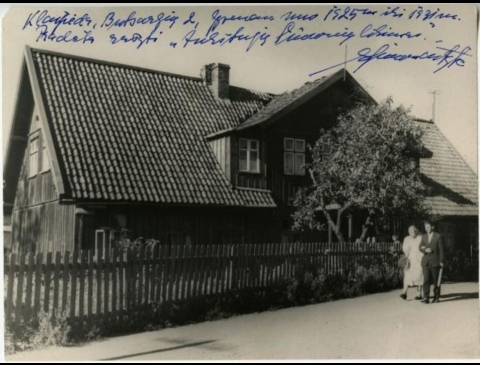 After returning from the sanatorium, she briefly settled in Telšiai, then moved to Kaunas and as of 1963 lived in Vilinius to her death. The writer died on 27 August 1978 in Vilnius and was buried in Antakalnis cemetery. Publisher: VšĮ "Vieno aktoriaus teatras"